Here's some recent news coverage of tea companies, at least one of which is pretty well-known. That would be Good Earth, who are profiled in this article in their local paper - the Santa Cruz [CA] Sentinel. The company, which started out, in a small way, is 1972, is now planning to go global with their products. 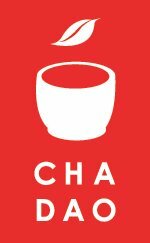 From the Seattle Post-Intelligencer, comes a story about Cha Dao Tea Co. , who currently offer jasmine green, herbal chrysanthemum, high mountain oolong and Japanese green sencha bottled teas. For those who prefer a Southern-style (sweet) iced tea, there's Milo's. The Birmingham News recently profiled them here. In the course of searching for a site where I could purchase my beloved Gyokuro Matcha tea in bulk, I discovered this delightful site which I have bookmarked and will return to to enjoy with a good cup of Matcha tea.